Easy Access: located at the heart of the campground, our easy access tents are closest to the Office, Meadow Commons and Bathhouse. Great for folks with mobility issues, Easy Access is the only class to allow for tent-side parking. 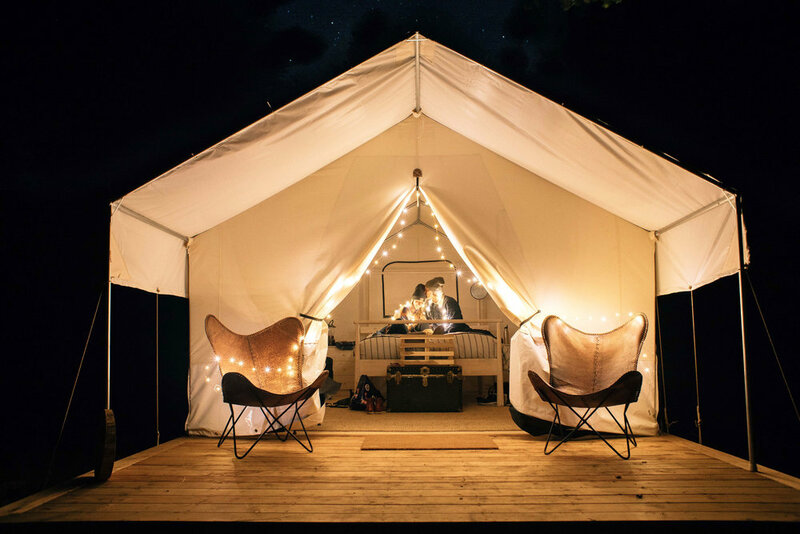 Standard Classic: Set back from the action, these tents are typically nestled in wooded areas. Bluff View: Situated on the ocean and river side of the property, bluff view tents enjoy views through the forest to the ocean below. Superior Bluff View: These 8 tents are situated in optimal locations around the campground. They are more private and have gorgeous and minimally obstructed ocean views.